Oh the old 251/Pak40 chestnut. I looked into this in some detail a few years back. 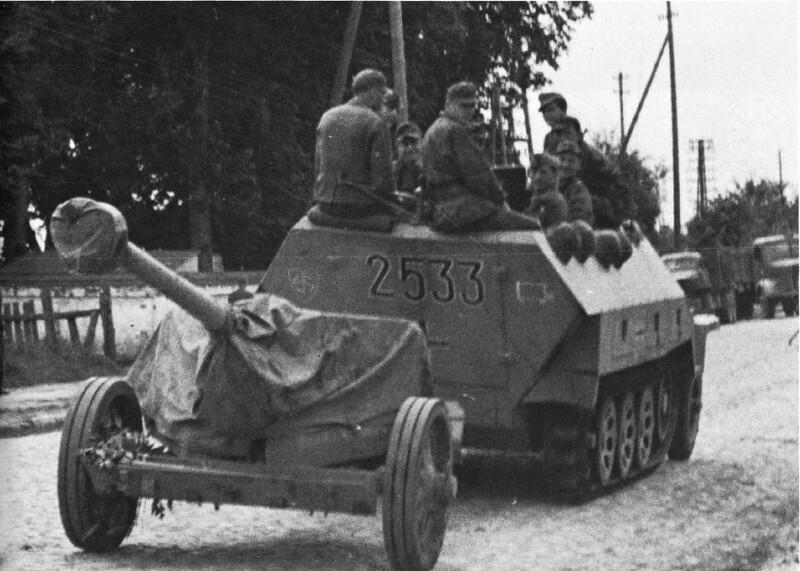 IIRC The Pak40 is right on the limit in weight of what the 251 was rated to tow, and whilst it was capable of "moving" a Pak40 - and was frequently used for that purpose, it was not used as the dedicated tow vehicle over distance or rough ground. This was mainly because the 251's steering was poor off-road, and much more so if towing (anything at all), so it was always a choice of last-resort. Soldiery, from any nation, in any war, will always use what's to hand if it saves pushing something unweildly or heavy, no matter how much QM sobs about burned-out clutches etc! A more representative tower is the HT, as that was easily capable of towing the gun, it's crew, and a modest load of ammunition for it too - unlike the 251. To save anyone the trouble, yes, if you look online you'll find several pictures of 251's with Pak40's 'behind them', however, these were only used if nothing more appropriate was to hand. The question to ask yourself is what if the shoe were on the other foot - would you want to see 17 pdrs or 25 pounders towed with Universal Carriers if someone were to turn up a photograph of some clot "towing" one with one?.... Or a Jeep? The Sd Kfz 251 is based on the Sd Kfz 11, same engine I believe. 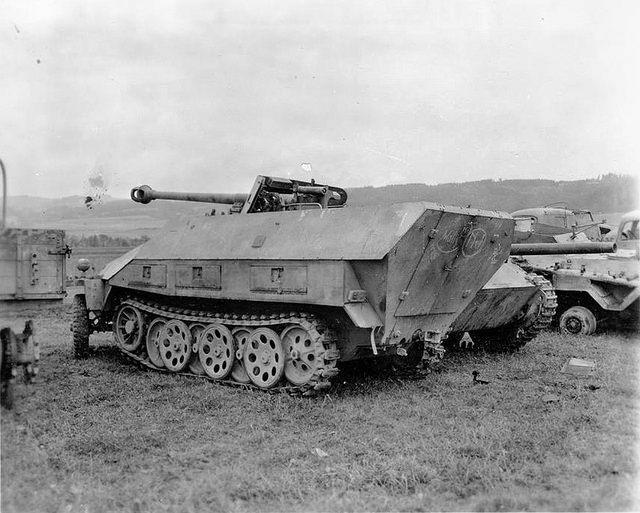 The Kfz 11 was designed to tow the 10.5 cm left 18 gun, at between 4 and 7 thousand pounds. The Pak 40 was 3000 pounds and Bofors L/60 4000 and L70 11,000 pounds. Seems pretty clear the 251 should be able to tow the Pak 40 and Bofors (L/60) relatively easily. Ooh I like it....no excuses about not dying THIS TIME! 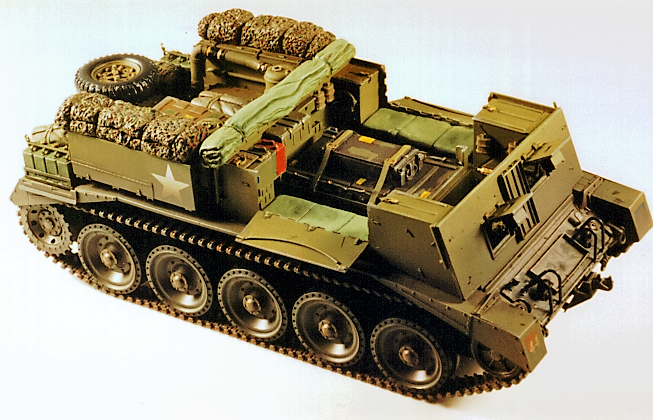 Above, the Crusader Gun Tractor. The UC will be an all-new model. That's hard. The Sherman Kangaroo and the Crusader Gun Tractor, by comparison, would be easy per Scotsman's prioritization criteria over in Motor Pool. Well that would give the allies a nice APC, in tier 3-4. They all have tow pintles though, so i'm really not sure what the difference is? Engine and drive train is same. Maybe different pintle? or maybe Politics or some dumb reason? you got me. Remove FB missions from active battles tab. Include navy in active battles tab. Exclude non fms attack missions in active battles tab. Exclude missions that are not tied to AOs in active battles tab. They are, you have to go to your navy persona to see them, same with Airforce. Same criteria apply as in ground missions as far as showing in active tab. That could have an unintended bad effect. Sometimes there may not be an FMS up for what ever reason. Even if it was only for a few minutes, a person would log in and see 0 missions and say to heck with that and leave. I think it would be better to give them more prespawn info on the mission and what is going and let them decide, on rather than to hide the mission from them? Add a x 10 points mulitiplier if the defined mission objective is achieved. Possibly configured for ammo storage, or a different gear ratio ? Especially the bren and the fn, but even though more awkward the MG34 actually had a special trigger so you weren't spewing ammo. And they were all designed to be usable in an controlled advance. Not sprinting or running or jogging of course, but in kind of a staggered motion yes. Aussie troops 1943 training, walking fire excercise. It’s the sprint firing that should stop. Elemnate “that action not alowed “ when your default setting is prone and your sprinting, many times this can get u killed because it forces you to stand up instead of going prone.